I was on twitter the other day and someone posted the question – “do writers need to research of should they just write?” I have seen this come up time and time again, and I always find it surprising that people doubt the need for writers to complete research. What I find even more surprising is that you often find comments from other writers saying that they do but they write non-fiction. I thought I would clarify once and for that fiction writers carry out an unbelievable amount of research for their work. But what I haven’t mentioned was the research that went in to creating Trystan, my two-thousand year old dragon man. Trystan is a Silure Dragon and his history is based on that of the Silure Tribe of South East Wales. He is introduced in book 3 of the Rune Witch Mysteries. He also has his own book, Exile, with more to follow later in the year. To give Trystan his history, I first needed to research it. Below, you will find the paper I wrote summarising that research. It’s quite a long read at around 2,000 words, but may prove interesting especially if you like history. Although his geography was flawed, we now know that 81% of the genetic makeup of the Welsh people, from the Y-chromosome point of view, comes from the Basque people (Iruinaoka, 2011), so Tacitus’s assertion of the Silure origins from Spain, and prior to that Iberia, has merit. Whatever their origins, the tribe proved themselves to be formidable opponents to the Roman Empire. Tacitus described them as “a naturally fierce people” on whom “neither terror nor mercy had the least effect” (Tacitus, c.109). Most of what is known of the tribe comes from the historian’s writings, and from the excavation and study of historical sites. Although, our knowledge is limited, this study will touch briefly on the way of life of the Silure tribe before Roman intervention. It will explore the efforts of the Roman Empire to subdue the Silures, and the many Roman governors who sent their forces against them. I will also note what happened to the tribe after this time, and how their stories made their way into the myths and legends of Wales. Domestically, they lived in roundhouses. 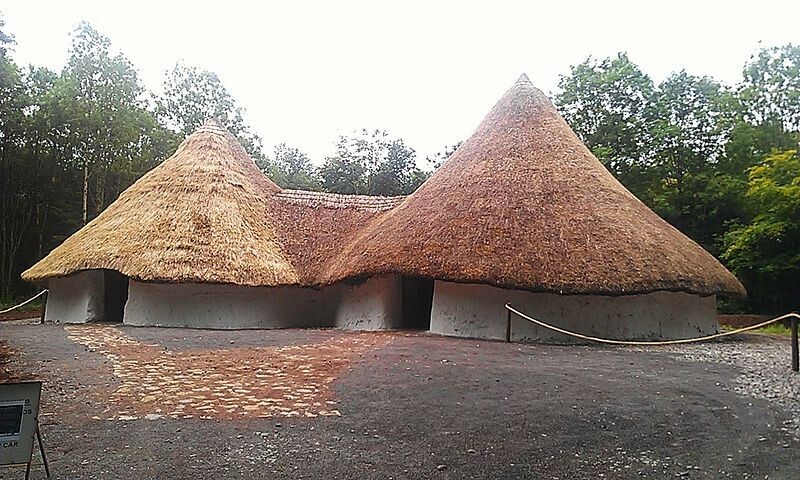 A visit to St Fagans National Museum of History on the outskirts of Cardiff afforded the opportunity to see reconstructions of roundhouses as unearthed on a farmstead in Anglesey. With no windows, these timber and clay dwellings were very dark inside, and what little light there was came from the doorway or the fireplace built into the very centre of the building. They traded with neighbouring tribes and shared ritual practices that “appear to have affinities with traditions in other parts of Iron Age Britain and the continent” (Howell, p.34, 2006). As well as being fierce warriors with “leaf-shaped slashing swords, scabbards and spearheads” (Howell, p.36, 2006), they were also farmers who raised cattle, making “seasonal land-use on the Levels” and building “trackways [which] served as drove ways accommodating both people and stock” (Howell, p.53, 2006). However, with the advance of the Roman Empire, life for the Silures soon changed. Their land was to become the most Romanised part of Wales (Chadwick, p.69, 1963), even if “among some Silurian communities, romanisation may have been little more than a relatively thin veneer” (Howell, p.82, 2006). Ostorius Scapula and his legions began to make headway against the Silures, Tacitus noted he was rumoured to have stated that the name of the Silures, who were “conspicuous above all in stubborn resistance… ought to be blotted out” (Tacitus, c.109). The Silures used guerrilla warfare to attack the Romans. They took prisoners and together with their spoils made gifts of them “to the other tribes… luring them too into revolt” (Tacitus, c.109). Ostorius died without being able to defeat the Silures, and Aulus Didius Gallus was appointed to take his place. However, Gallus soon needed to focus his soldiers on the Brigantes tribe in northern England, where Cartimandua, the queen who handed Caractacus over to the Romans, now paid for that betrayal, which “turned her own people against her” (Castelow, 2018). After Gallus, in 57/58 AD, Quintus Veranius took over the fight against the Silures, although “after having ravaged the Silures in some trifling raids, [he] was prevented by death from extending the war” (Tacitus, c.109). The next governor to come to Britain, Suetonius Paulinus, started his attack on the druids on Anglesey, at the time known as “the island of Mona” (Tacitus, c.109). However, just as Gallus had been distracted from the fight in Wales by a queen, so too was Suetonius, for “Boudicea, with her daughters before her in a chariot, went up to tribe after tribe” and convinced them to fight the Romans; Suetonius was forced to race eastwards and face her (Tacitus, c.109). Julius Frontinus was next to take on the role of governor. In 74-75 AD, he “built the first timber encampment” at Isca “to subdue the tribes living in Wales” (Gardner & Guest, 2009). There are no details of his fight against the Silures and it is not known whether the Romans won in battle or the Silurians decided to no longer fight and instead work with the Romans. It is, however, recorded that in 79 AD, Frontinus succeeded and finally “subdued the strong and warlike nation of the Silures” (Tacitus, c.98). Isca Silurum in Caerleon was still needed to retain military control, and became “one of the permanent legionary bases in Britain” with the baths being built in 85 AD (The Editors of Encyclopaedia Britannica, 2018). The prolonged war with the Silures had proven costly to the Romans, as did maintaining their presence in Wales. In order to withdraw troops and reduce this cost, they needed “to mollify and civilise the native population” (Brewer, 2009). In 75 AD, the romans founded Venta Silurum, and at the end of the war, they “forcibly transferred” the Silures at the hillfort at Llanmelin a mile south to this new Roman-styled town (English Monarchs, 2018). Venta Silurum became the “largest administrative centre of the civilian population of Wales” (Brewer, 2009). Information obtained through a visit to the site, detailed the town as covering 44 acres, and an information plaque noted that, as it was in the best interest of the Romans to deal “moderately with those whom they had conquered… the Silures were allowed to retain their political identity”. The Silures at Caerwent no longer lived in roundhouses, instead “romanised villas, or farms were established” (Caerwent, 2018). The houses were “small and modestly appointed” with “a few in possession of tessellated or mosaic floor”, excavations at Caerwent also unearthed rooms with under-floor hypocaust heating (Roman Britain, 2016). 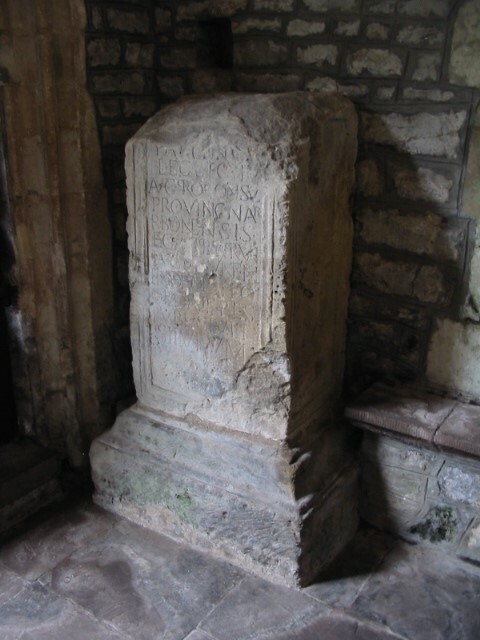 Seven stones inscribed in Latin were discovered at the site, and one, the ‘Civitas Silurum Stone’ dated 220 AD, confirmed the existence of the Silures as a “self-governing body” (Roman Britain, 2016). Indeed, the Silures became the only known self-governing system in Wales (Chadwick, p.38, 1963). Romans occupation remained in Siluria for a period of 365 years, and when they left “native princess resumed government of the area” (Barber, p.22, 2016). The Roman fortress at Caerleon shows “evidence of demolition of buildings like the headquarter building (principia) and fortress baths” (Garner and Guest, p.34, 2006). From 340 AD onwards, Venta Silurum and the basilica at its heart “was systematically demolished” (Brewer, p.45, 2006). In 410 AD, the emperor of Rome, Honorius issued a rescript and instructed the people of Britain “to make arrangements for defending themselves” (Davies, 2007). However, the withdrawal of Roman occupation from Britain, and “reassertion of political control by tribal dynasties did not produce a unified early medieval Silurian Kingdom” (Howell, p.113, 2006). Instead, “two main kingdoms: Gwent and Glywysing, both descended from the Silures” (Ashley, 1998). Britain entered the Dark Ages, and from 615 to 630 AD, Arthwyr ap Meurig, believed by some to have given rise to the tales of King Arthur, ruled Gwent (Ashley, 1998). The Silures became mixed within the stories of myth and legend. The Mabinogi brought together a collection of Welsh Celtic mythology. Stories within the Mabinogi “feature the exploits of King Arthur and provide names of his many associates” (Barber, p.39, 2006). The second branch of the Mabinogi and the Welsh Triads provide details about Bran the Blessed, King of the Silures. Bran resigned the crown to his son, Caradog ap Bran, in order to become the “Arch-druid of Siluria” and “devote the remainder of his life to Christianity into which Druidism was beginning to merge” (Hill Elder, p.21, 1973). It is hypothesised that the story of Caradog ap Bran was based upon that of Caractacus, with some believing that “the folk memory” of Caractacus’s betrayal by Cartimandua “may have been indirectly recalled in this medieval story” (Parker, 2003). The Silures were gone, but their legacy remained. The Silures were lost in the history of Wales, but there is no doubt they were “a resilient and sophisticated clan-based tribal confederation” (Howell, p.113, 2006). Although evidence is limited, from the hill forts in south-east Wales, the remains of Roman occupation, and the legends of the Dark Ages to follow, we know that the Silures were a tribe that have a great history. This history provides enough information to lay a solid foundation for creative endeavours, but also leaves enough scope for interpretation of events and the development of ideas. “This story of the Silures is one of the most gripping to come down to us from later British prehistory” (Howell, p.113, 2006), and the tribe deserve to be preserved in history and fiction alike. 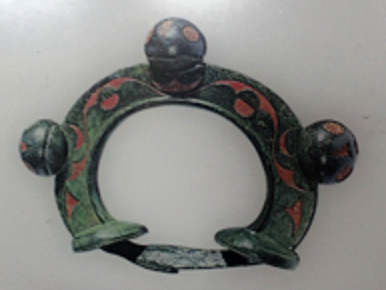 Brewer, R. (2009) ‘Caerwent’ published in Current Archaeology (Issue 226) pp.31-37. Cleave, V, (2018) Figure 1: Terret from Lesser Garth, Cardiff [photographed from information panels in Caerwent]. Gardner, A. & Guest, P. (2009) ‘Fortress Isca’ published in Current Archaeology (Issue 226) pp.38-45.